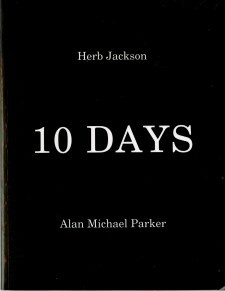 A collaborative project in 2012 between the painter Herb Jackson and the poet Alan Michael Parker, 10 Days presents ten drawings and poems produced on ten separate occasions—each artist in his studio at the same time, elsewhere—exhibited together. Through the generosity of a patron, the work resides in the Davidson College art collection. Exhibition catalogues are available for sale; email amparker0@gmail.com for further information.